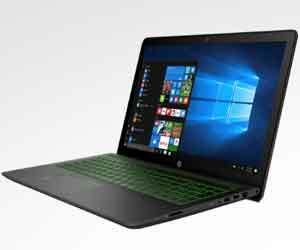 The HP Pavilion 15 everyday use laptop makes a person wonder where the line is between everyday use and a powerful laptop that can do just about everything. This series has a variety of models to choose from with different configurations available. They all have a 15.6-inch diagonal HD BrightView WLED-backlit Display. The HP Pavilion 15 is one of the few things in life that allow you to have champagne taste on a beer budget! We often have Pavilion 15 coupon codes and discounts to help you save even more money on this budget friendly laptop. The HP Pavilion 15 is a very stable and powerful notebook that is perfect for everyday computing. These are essential laptops for everyday use. Coupon codes and promos are available for the HP 15 series of laptop. Compare prices and configurations for HP Pavilion and Essential 15” laptops, Deals Start at $329! These laptops are packed with a choice of AMD and Intel© Core™ processors, lots of hard drive space and an almost full sized keyboard, which is unusual in a laptop this size. Some have a choice of colors to personalize it to your style. The 15z laptops use the powerful AMD Quad-Core processors, up to 8GB of RAM and a 1TB hard drive, power the Notebook PC. The Pavilion 15t Notebook PC models use the latest Intel processors, a 500GB hard drive and up to 8GB of RAM. The Pavilion Notebook PC is similar to the others with the exception of the processor. This model is powered by the Intel Core processors.